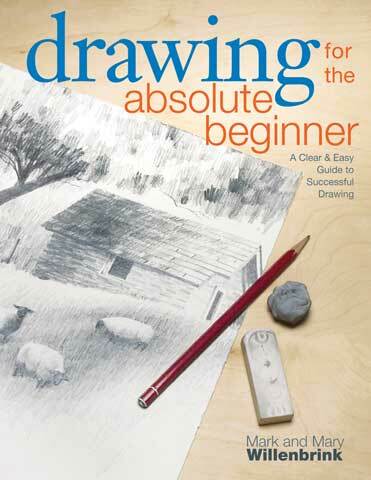 Mark Willenbrink makes drawing in a realistic style easy by focusing on a variety of topics essential for artists new to the medium - from choosing materials and the correct way to hold a pencil, to expert advice on more difficult skills such as proportions and perspective, drawing reflections and designing strong compositions. A series of fun, hands-on exercises help artists practice and perfect their strokes, including 24 mini-demonstrations leading up to nine full step-by-step demonstrations. Each exercise builds on the previous one allowing artists to develop their skills, build their confidence and enjoy themselves along the way. The lessons include simple subjects such as coffee mugs, clouds and trees, and get progressively more challenging with matter like animals, still lifes, landscapes and portraits. Available as a 128-page book or a 71-minute DVD.